Drunk drivers and drivers under–the–influence (DUI) of alcohol or drugs cause a high percentage of auto and motorcycle accidents. Alaska's annual DUI–related fatality rate is typically one of the highest per capita rates in the nation. The Alaska Legislature has enacted tough laws against drunk driving and driving under–the–influence. Unfortunately these laws do not stop many irresponsible individuals from getting behind the wheel while impaired. The attorneys at the Alaska Personal Injury Law Group are familiar with the special laws that apply when a drunk or impaired driver causes an auto or motorcycle collision. These laws, for example, may result in the court establishing the impaired driver's legal responsibility for the victim's injuries and damages as a matter of law (instead of having to be submitted to a jury). A drunk or impaired driver may also have to pay punitive damages to the victim in addition to compensatory damages. A judgment against a drunk driver cannot typically be discharged in bankruptcy. Special insurance provisions may also apply to such claims. 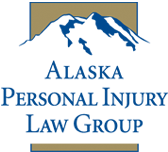 In addition to claims against drunk or impaired drivers, the attorneys at the Alaska Personal Injury Law Group are familiar with claims against liquor stores and others who illegally supply alcoholic beverages to underage individuals or the visibly intoxicated who then cause injuries to others. Finally, many of the same laws and legal principles that apply to drunk or impaired drivers of autos or motorcycles apply in the same way to drunk or impaired operators of boats, four wheelers and snowmachines. Contact Us. We will explain how Alaska's drunk driving laws apply to your claim and discuss the best way to proceed.